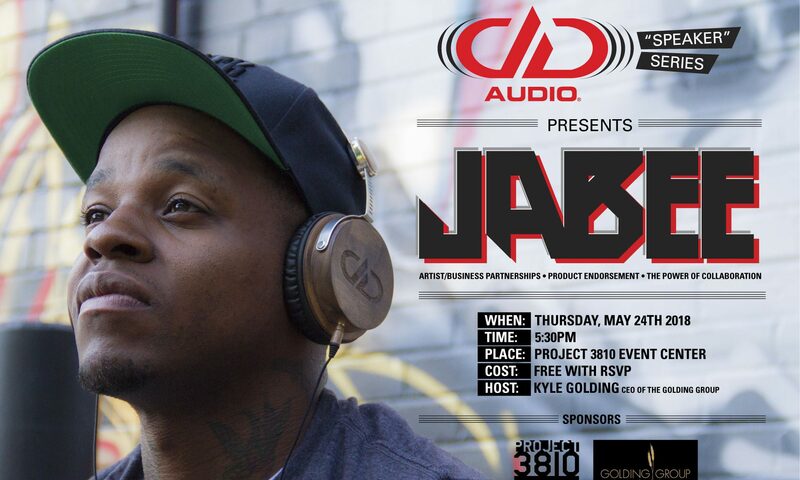 We’ve partnered with DD Audio and The Golding Group to bring you biannual marketing, business, and creativity collaboration events that will include food, craft beer, swag, and networking. These events will be free but require registration. 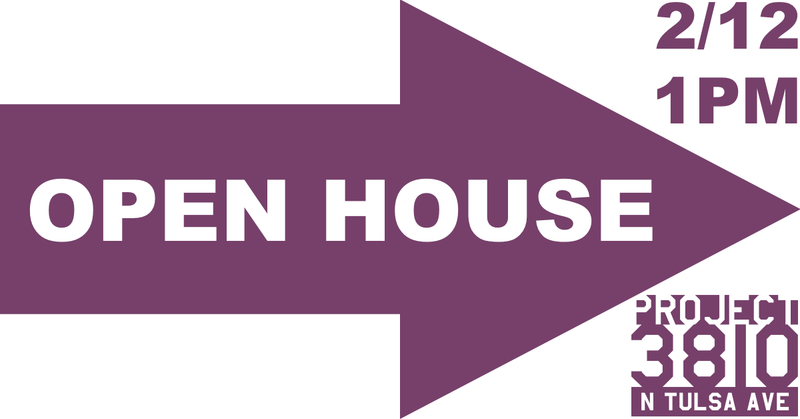 Our first event will be Thursday, May 24th, at 5:30pm here, at Project 3810, in our Event Center. Please register and join us! 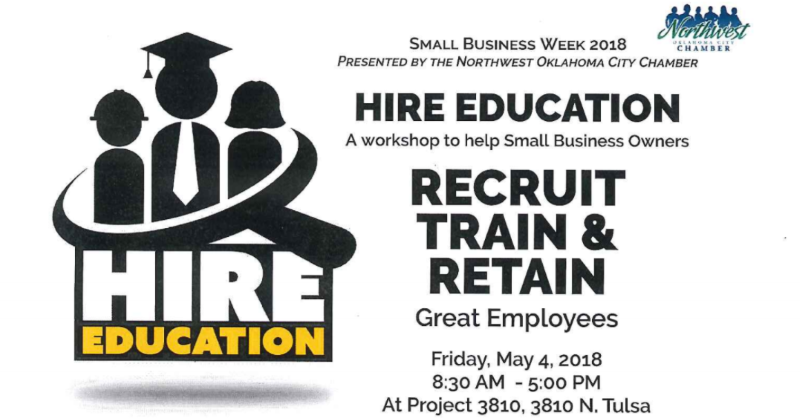 For small business week this year, on May 4th, the Northwest Oklahoma City Chamber will be holding a full-day workshop in our space called Hire Education, to help small businesses recruit, train, and retain great employees. The event will discuss new markets for finding employees, ensuring workforce diversity, and keeping employees motivated and committed over time. 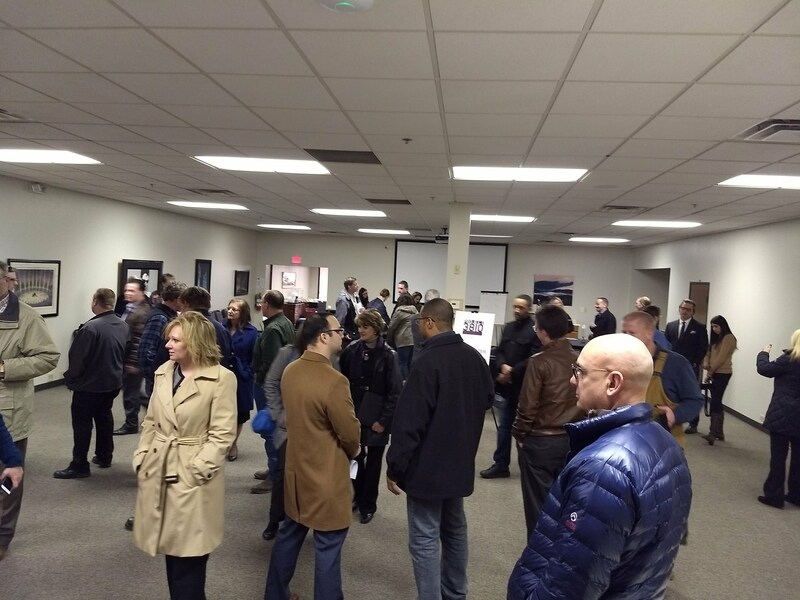 The program will include keynote and breakout session presentations, a B2B Trade Show, an opportunity to connect with job seekers, and time for business building networking. Use this form to register with the NW Chamber. If you’d like to be an event sponsor, complete this form. Or if you’d like to apply for a B2B Trade Show Booth, use this form. Here is a link to the EventBrite event, where you can buy tickets online. We pride ourselves on being competitive in our pricing. Also, coworking is not our core business (though it’s an important part of our business), so we have more wiggle room than most would. After a review of our pricing structure, we’ve decided to drop our monthly membership price to $99. That’s right, all the comforts you’d expect, but for under a hundred bucks. This is not a special or an introductory price. This is the price, going forward. Even better? For a limited time, when you sign up for your first month, you get an additional week free. Five weeks for the price of four. That’s just a few bucks a day! Why WOULDN’T you give it a try? Project 3810 now has a certified SCORE mentor on-site. 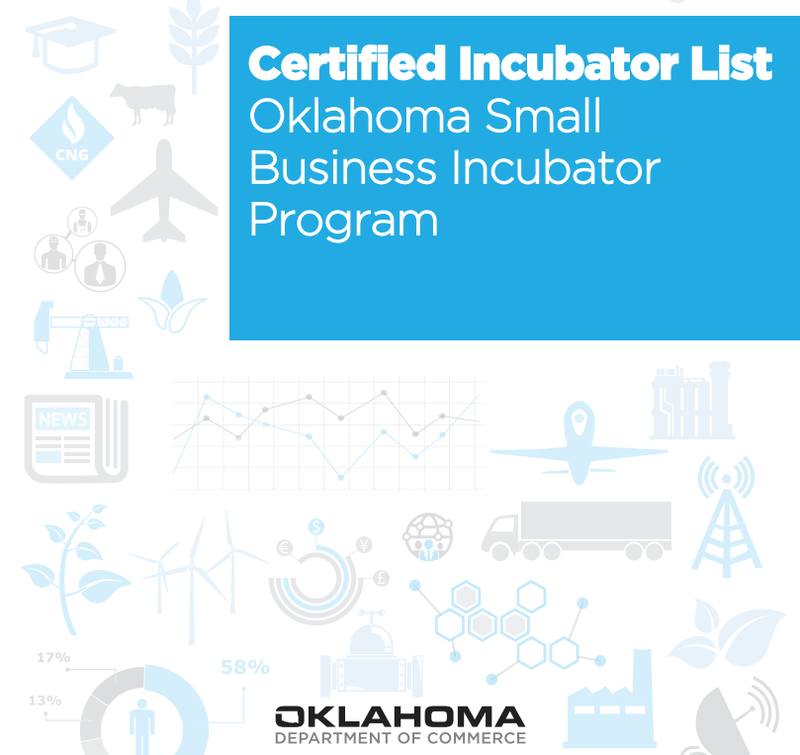 ANY small business in Oklahoma City needing help can visit us if our mentor’s area of expertise fits your needs. 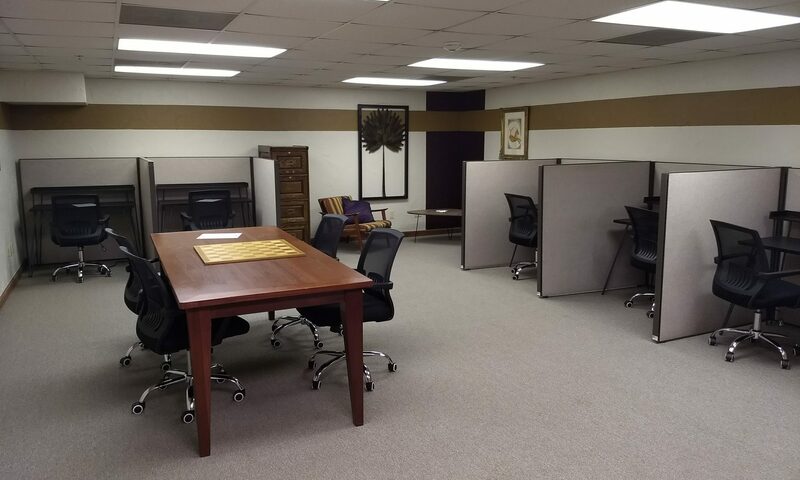 For the purposes of integrity, if you’re a tenant or a prospective tenant, we’ll have to refer you to another mentor, but you can still have your mentor meetings right here at Project 3810, as SCORE has an open invite to use our space. No more dealing with the parking and security hassles of the downtown SCORE office! 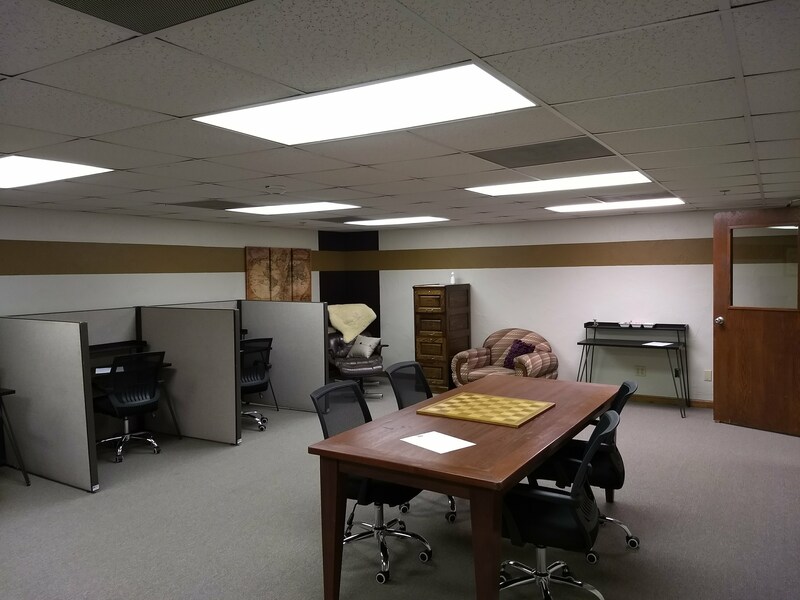 We launched our coworking space just last month, but we knew there was more to do. This month, with the help of our design consultant, we made the space a little more cozy. We figured, mid-century design for a mid-century building. Come see for yourself and let us know what you think! Our newly redesigned coworking space inspired by its mid-century roots. Thank you to the Northwest OKC Chamber for helping us cut the ribbon. The turnout was generous! 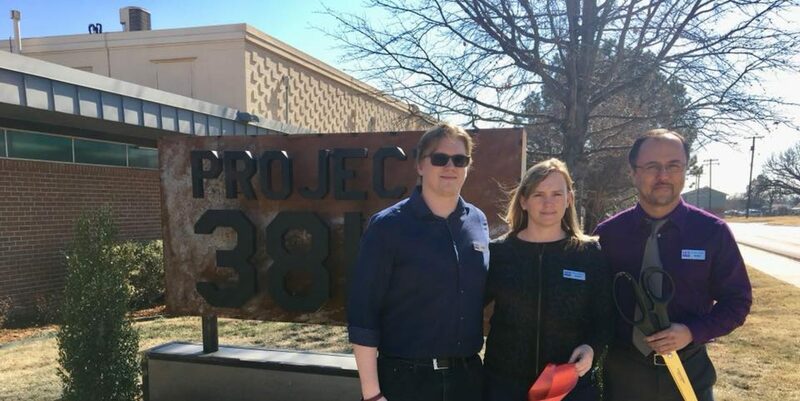 Project 3810 was established in July 2017, and after an initial round of renovations in August and September, we opened our doors to tenants in October. Our first batch of tenants have moved-in and are operating smoothly, and we’re ready to grow and improve with the new year. 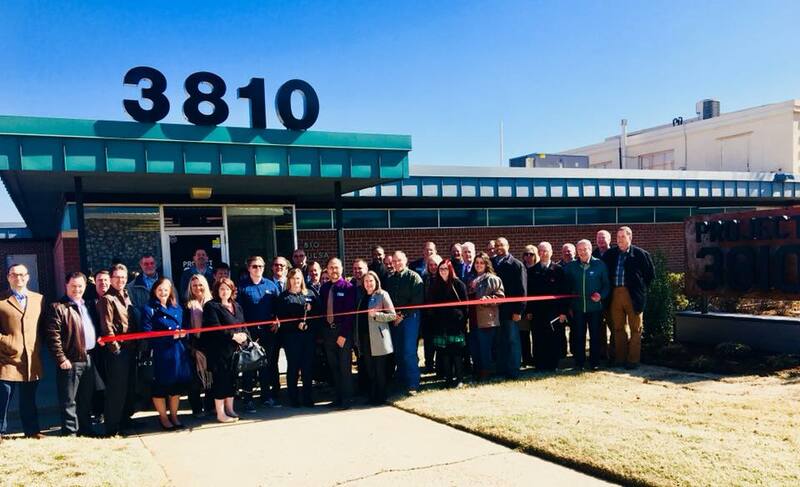 With the help of the Northwest OKC Chamber, we’ll be cutting the ribbon and opening our doors to the public to see where we are and where we’re going. Please join us on February 12th at 1pm! See the Facebook Event for ongoing details, or add this event to your calendar. There are also details from the NW Chamber site.